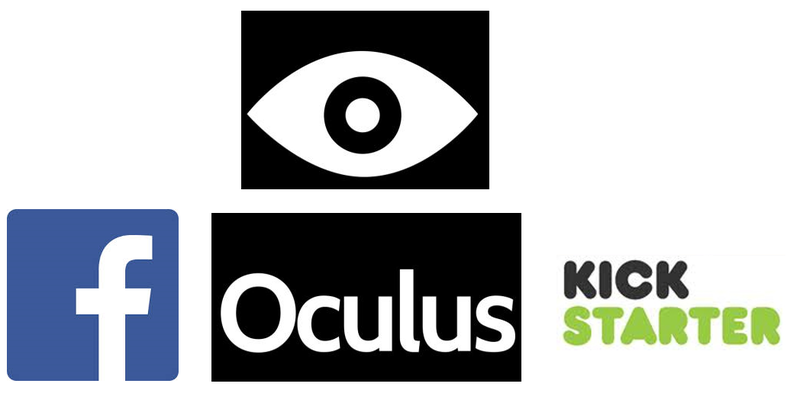 A company called Oculus used a company called Kickstarter to get free money from the public to impress a company called Facebook. So these companies merged around Oculus effectively. So one of the biggest stories in technology in the last year or so has just happened. A small company called Oculus wanted to make an attempt at a Virtual Reality (VR) headset, nothing new here various IT companies have been trying to make VR a commercial success for more than 20 years. What was new was the mode of funding and the ultimate purchaser. Kickstarter,( which was normally used by small player to get some money to record a CD, write a book, or produce a small gadget) was used to acquire 1.2 million USD for Oculus development version VR headset (AKA goggles). One of the biggest kickstarter projects ever. From all the hype generated the dying dinosaur Facebook smells the blood in the water and buys Oculus for 2 billion dollars. Depite the Kickstarted backers getting the prototype VR headset as promised, a lot of backers were really angry, they felt that they were supporting an independent company not making a R&D donation to the oh so creepy Facebook. Kickstarter has had its day, people will no longer want to donate to companies unless it really a forward purchase. Other companies like Kickstarter are emerging and now and will offer a shareholding in new companies. Crowd funding will become crowd micro investing. 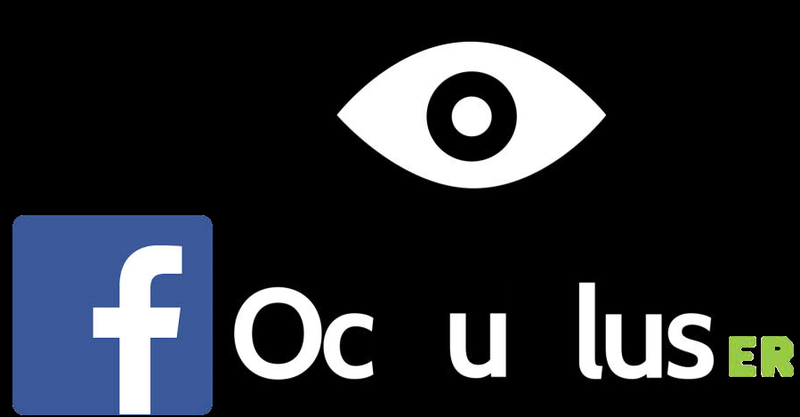 Oculus will be associated with the creepy surveillance of Facebook. 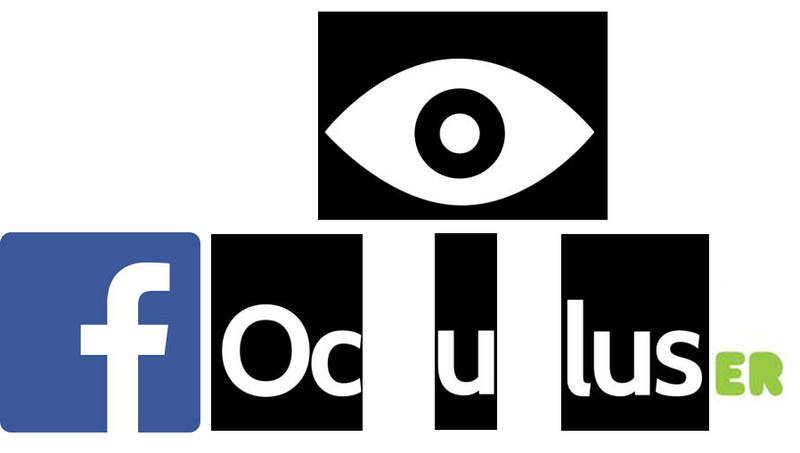 Facebook will probably ruin the potential Oculus like some many previous failed attempts to make people use VR. Farmville in 3D really has very little extra appeal. Sony have similar VR project , but have none of this baggage and may just be more successful because of the negative publicity gathered by the aforementioned rogues. 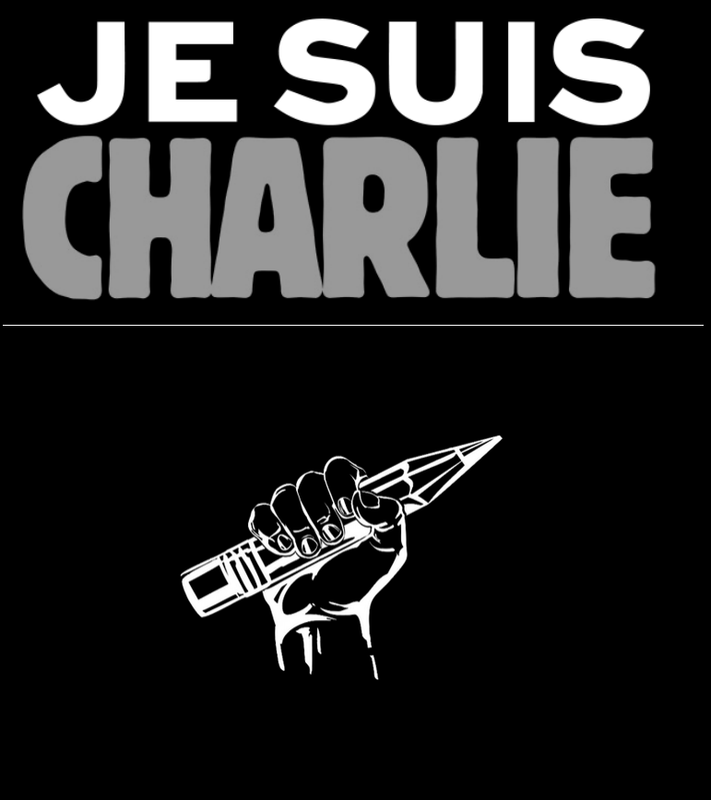 No guarantees, but the future could look like this. 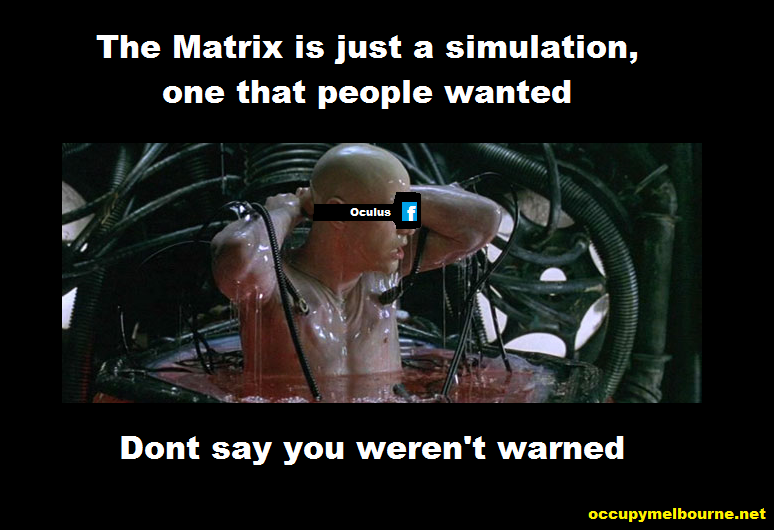 Posted on March 31, 2014, in Corporations, Economics & Finance, Kapitalism, Meme, USA and tagged crowdfunding, Facebook, Kickstarter, Oculus, Rift, ripoff, Rort. Bookmark the permalink. Leave a comment.